Anyway we had a great time and, as always, I did bring home a few goodies that I want to share pictures of, although without hubby's truck I had to really prioritize the things I wanted to bring back. 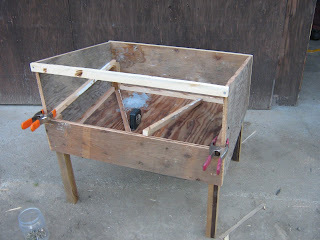 This is a solar food dryer that my Dad and oldest son W built out of all recycled materials. The window was salvaged from the roadside - at the lake there is always an assortment of "good stuff" on offer from people who are making their "cabins" into "lake houses". We took out two glass panels, one is used on the food dryer. Two were left in the frame and the next time my folks come down they will bring it for me to use as a cold frame over my garden beds next spring. One panel of glass I will use as a weed burner in my garden pathways. The wood is from the old deck on my folk's home. The dryer will be used for my cherries, apples, apricots, plums, grapes, currants and peaches and store-bought bananas. I will likely try it with some herbs and veggie bits too. I was pleased to hear W come up with some make-do solutions for using parts that we had while building this. Have to post about a garage sale find that I know Katherine will understand how excited I am about. 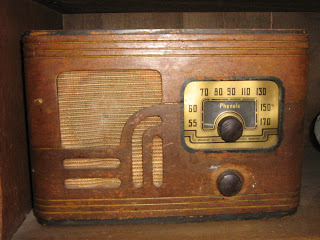 The lake that we go to has an annual garage sale at the senior's centre where several years ago I scored this for $1. It actually worked at that time ( until I brought it home to kids and pets). 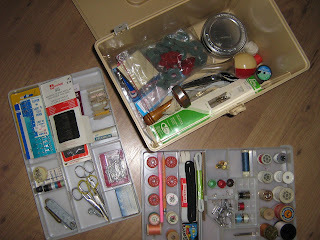 This year I got this for $1, a sewing kit full of all kinds of goodies. I will never again need to buy sewing needles (nor will any of my friends). There are two sock darners, although I have no intention of ever wearing out my knitted socks ( after how long it takes me to knit them they had better not wear out!). and also this for $1. 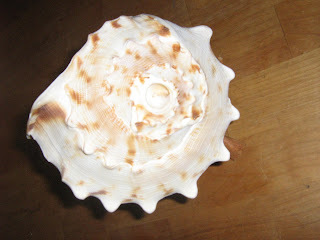 A conch shell for E. For the last few years he has joined in a Maui Conch shell band to salute the sunset and now is lucky enough to have his own shell instead of having to use a snorkel. This one already has the blow hole cut into it and came with a hand carved wooden stand. It sounds lovely. 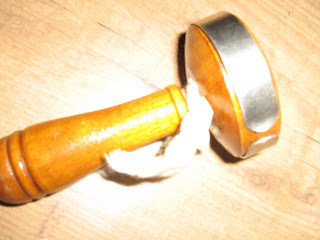 I was darning R's shop-bought socks this evening and thinking that a sock darner was just what I needed! My grandma used to use a lightbulb but you are welcome to use one of mine. Ooooooooh! I knew you'd come home with some cool thrift finds! I'm just disappointed that I can't enlarge the picture you posted to see everything better. 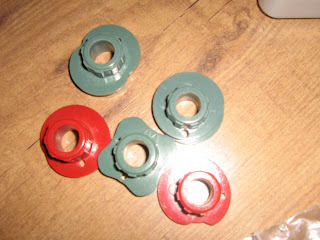 Sorry to disappoint you and your opinion that I know lots about sewing - but I haven't a clue about those disks. I've never had a machine that had things like that as attachments. We sing On The Road Again at the start of every road trip. Unfortunately, we don't know a lot of words (um, like most of the words) so the line about the band of gypsies is used a lot.